It is widely assumed that vessels (經 jing) — known more commonly in the West as meridians — constitute one of the core features of the “Chinese medical body” and that this body remained essentially unchanged from the time of its conception in the early Han until China’s encounter with the West. In this paper I will challenge this consensus by exploring changing imaginations of the body in late imperial China derived from the engagement with the Treatise of Cold Damage (傷寒論). During the Song, the vessels became the central focus through which physicians interpreted a text that only recently had been elevated to the status of an essential classic. From the late Ming physicians in southern China, inspired by the evidential scholarship movement, challenged this conventional interpretation. They argued that in understanding the Treatise the term jing had to be understood not as channels but as boundary markers. This, in turn, led them to to perceive of illness as a matter of territorial warfare aimed at dispelling external invaders or subduing internal bandits. I will show that this new perception of the body is closely mirrored to China’s geographic organization at the time but also shows early influences from the West. This new understanding of the body traveled to Japan, where it became a cornerstone in the re-interpretation of medical practice carried out by physicians associated with the kohoha school. In the course of the late nineteenth and early twentieth centuries, these Japanese interpretations were taken up, in turn, by Chinese physicians to align existing conceptions of medicine as territorial warfare with emerging notions of immunity at the heart of which, once more, they placed the Treatise. 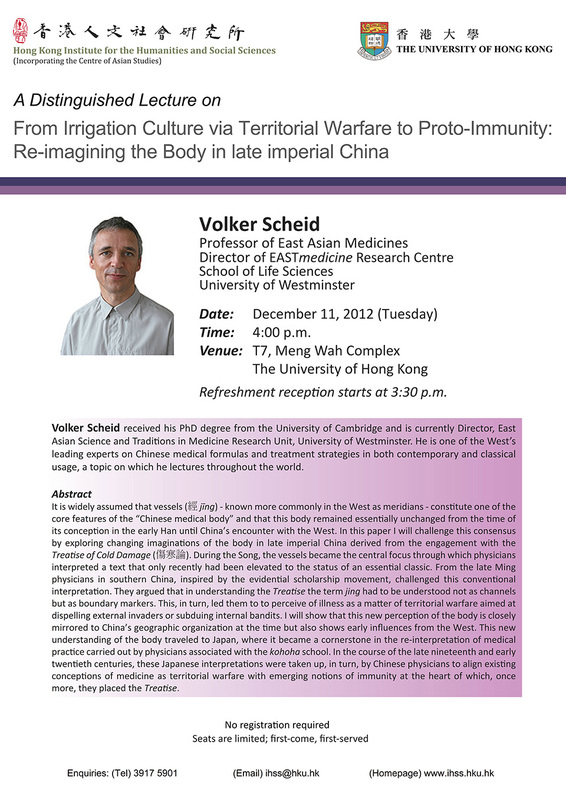 Volker Scheid received his PhD degree from the University of Cambridge and is currently Director, East Asian Science and Traditions in Medicine Research Unit, University of Westminster. 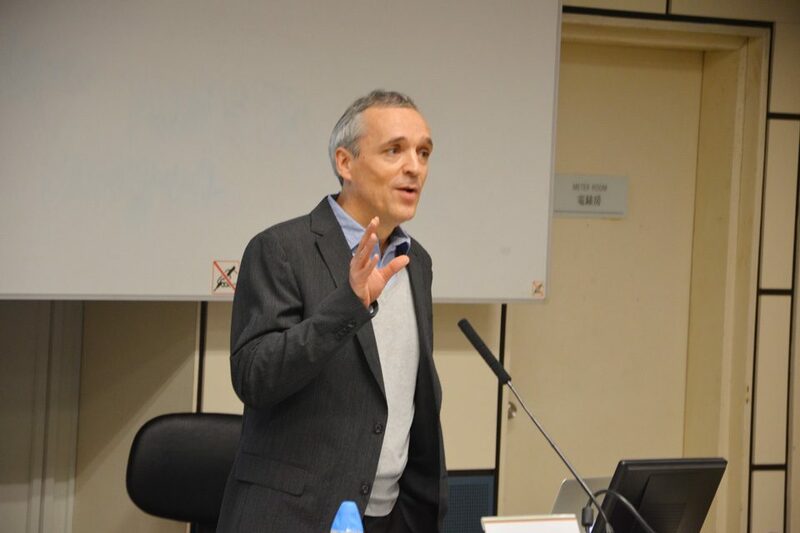 He is one of the West’s leading experts on Chinese medical formulas and treatment strategies in both contemporary and classical usage, a topic on which he lectures throughout the world.